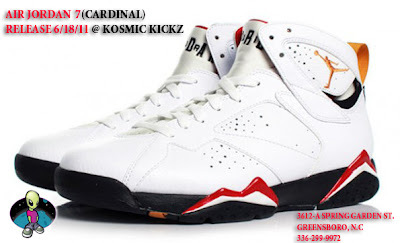 Tomorrow morning June 18, 2011 Kosmic Kickz, your favorite local rare and exclusive sneaker store, will have the Air Jordan Retro 7 (VII) Sneakers available for purchase. This entry was posted in Uncategorized and tagged Kosmic Kickz, News, Style File. Bookmark the permalink.